It's not just people who need a winter getaway in a tropical paradise. Tortoises, too, enjoy the sun of a Caribbean island, in this case, Sir Richard Branson's Necker Island Resort in the British Virgin Islands. 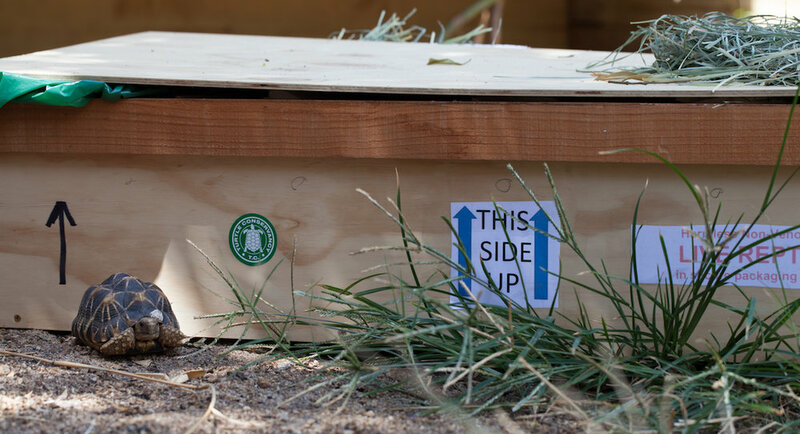 In the spirit of conservation and continuing our partnership with Sir Richard, on Valentine's Day, 24 captive-bred Critically Endangered tortoises traveled from the Turtle Conservancy to their new home on Necker Island. Included were four Radiated Tortoises (Astrochelys radiata), the first of their species to be internationally relocated. Also in the group were 10 Burmese Star Tortoises (Geochelone platynota) and 10 Burmese Black Mountain Tortoises (Manouria emys phayrei), which will join the five of each species we previously sent in 2015. 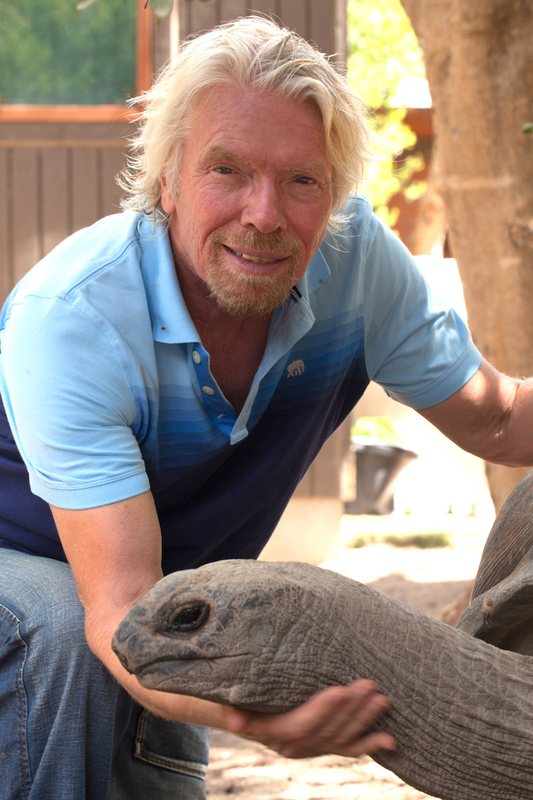 Sir Richard is not only interested in the native ecology on Necker, but he is also focused on the global extinction crisis specifically with lemurs and tortoises. 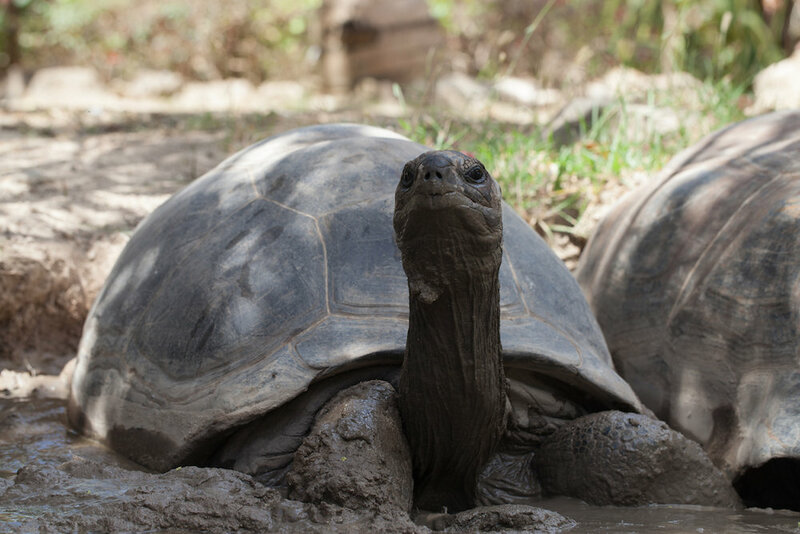 Already present on Necker are herds of giant Indian Ocean Aldabra Tortoises (Aldabrachelys gigantea), Red Footed Tortoises (Chelonoidis carbonaria), Burmese Black Mountain Tortoises (Manouria emys phayrei), and Burmese Star Tortoises (Geochelone platynota). Burmese Star Tortoises and Radiated Tortoises are both in the top 25 most endangered species of turtles and tortoises in the world. In Madagascar, poaching of Radiated Tortoises by local people for food and demand for the pet trade has decimated this once plentiful species. In Myanmar, the black market pet trade has virtually wiped out all wild individuals of the Burmese Star Tortoise. Unfortunately, demand still exists for both these species, making reintroductions to their native ecosystems costly and difficult. Fortunately for the Turtle Conservancy, an alternative approach arose, in the form of Sir Richard Branson and Necker Island. With our guidance and the skill of Necker’s Wildlife Conservation Manager, Vaman Ramlall, Sir Richard and team built a large outdoor compound to house the VIP residents. These new arrivals will be managed in very large open-air paddocks as another breeding colony in the battle against extinction. The climate and ecology of the island are ideal for these animals. Our ultimate goal is to restore all of these species back in their native lands, but for now, assurance colonies represent the ideal way to secure and propagate species still under threat in their natural environment, in their fight against extinction. Transfer of these CITES I and CITES II tortoises to Necker Island was a lengthy process for all concerned, involving multiple permits, health certificates, and reams of other documentation. The Turtle Conservancy is especially grateful to shipping agent Juan Herrans along with Javier Pacheco of the US Fish & Wildlife Service in Puerto Rico who facilitated the transfer of the animals to the British Virgin Islands. Read more about the tortoises of Necker Island in the 2014 edition of The Tortoise Magazine.